Rayon Sports FC was held to a barren draw by Tanzania side Young Africans in a Group D CAF Confederation Cup tie staged at the National Stadium in Dar es Salaam on Wednesday night. 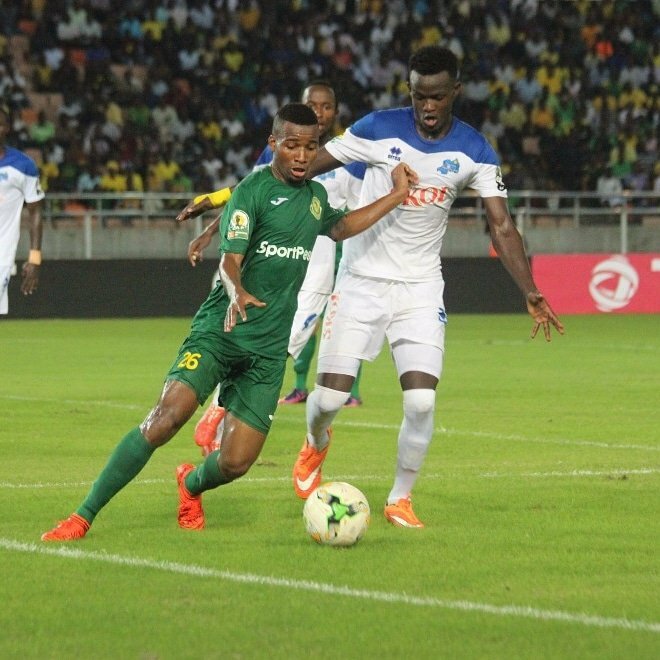 The Azam Rwanda Premier League reigning champions had two goals disallowed in either half as they dominated possession over hosts Young Africans. It was the same old story for the Blues as they created many open scoring opportunities but couldn’t finish any of them as they settled for their second consecutive draw in the competition. In the first half, Ismailla Diarra was ruled offside as he connected a set piece from Rutanga Eric with Hussein Shaban Tshabalala causing all sorts of problems to the Tanzanian defenders. Goalie Eric Ndayishimiye was forced to save two clear chances from Young Africans forward Chirwa who had another attempt which was saved by the crossbar. In the second half, Manishimwe Djabel came for Kevin Muhire while Christ Mbondi replaced Diarra. The additional of the duo boosted the Blues as they placed forward for goals. Mbondi had a clear goal which was ruled offside as Shaban was seen to have touched while in an offside slot. Shaban could have sealed the win but his efforts could scare the Young Africans goalie who played a crucial role in the stands for the home side making crucial saves from attempts made by the Blues. The away draw earns two points for Rayon Sports and a point for Young Africans who were thrashed by USM Alger in the first group game. Elsewhere in Group D, Gor Mahia and USM Alger settled for a barren draw in another game which played concurrently with the Dar es Salaam encounter at the soggy Moi Sports Centre Kasarani on Wednesday night. The 16-time Kenyan Premier League champions had to play over 35 minutes of the match after defender Joash Onyango was sent off for a second yellow card, but they managed to hold their own and even had chances to win the tie. USM Alger who tops Group D with maximum four points, Gor Mahia and Rayon Sports Fc are joint on the second spot with two points each while Young Africans are at the bottom with one point.